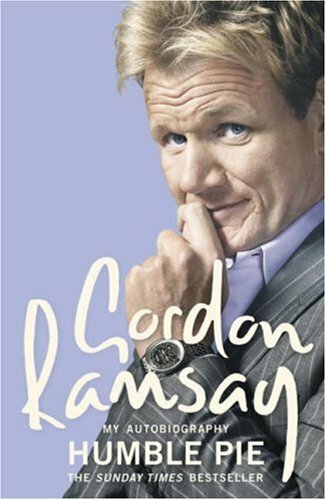 For the first time Gordon tells the full inside story of how he became the world's most famous and infamous chef: his difficult childhood, his brother's heroin addiction, his failed first career as a footballer, his fanatical pursuit of gastronomic perfection and his TV persona - all the things that have made him the celebrated culinary talent and media powerhouse that he is today. Sending onto scruffykaz today - sorry it's taken so long to get off to you but have only just found it - I had left it at my parents house! I have started this book already. It seems very readable so I can see me sitting down and getting stuck into this over the weekend! I enjoyed this book a lot. Very easy and I loved the fact that despite the fact that he has had a difficult childhood, it was told openly and honestly without self pity. I am going to offer this up as a ring. It has arrived! I am looking forward to this one. Thank you Scruffykaz for sending it all the way to Canada. I enjoyed this very much and perhaps I view him in a little different light now. He certainly has accomplished a great deal with excellence and deserves to feel proud of his accomplishments. Much of my life has been spent working(owning one's own business seems to perpetuate this) and I realize as I get older that there is much more to life than work. I hope Gordon realizes this too, so that he can also enjoy other aspects of life just as much as his work. Thank you Scruffykaz for sharing. This book is now on its way to Kotus123 by surface mail. It could take up to six weeks to arrive. Enjoy! This book has washed ashore at the Lost Book Island after not being heard from for many months. This new arrival will be shown to a room and be allowed a bit of rest before being introduced to the many fun things to do here at the island. All around there are books sipping cool drinks under shady palms while other books participate in a wide variety of beach sports. There is plenty of sand, surf and sun here for all of the lost and wayward books to enjoy. It is hoped that very soon a new journal entry will come to rescue this book from the island and send it back out into the BookCrossing world so that it may continue on its journey. It is hoped that the new journal entry will tell all the interested parties where this book has been this long time and where it will be traveling to next.